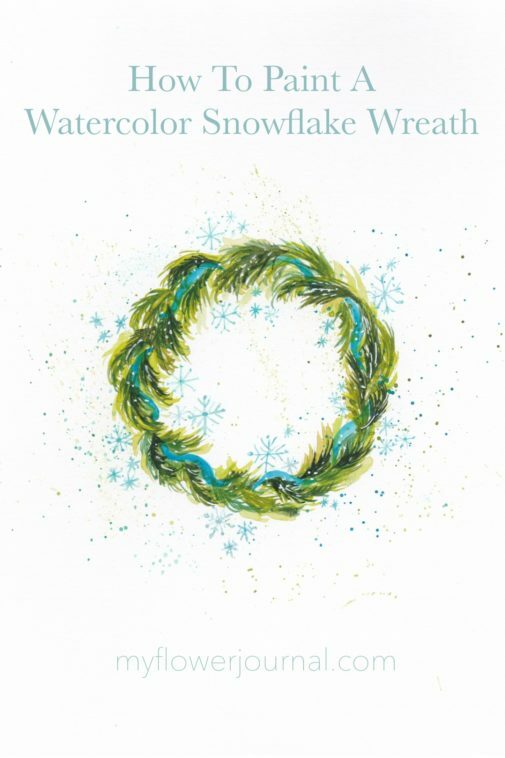 Paint a watercolor snowflake wreath following my photo tutorial. 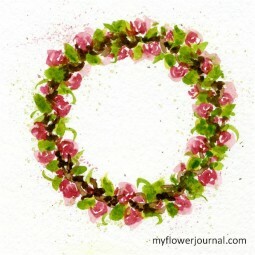 I love to paint wreaths in watercolor. 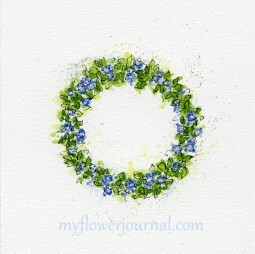 I have shared other watercolor wreath tutorials and have more wreath ideas to share this year. I painted this wreath on a snowy day and it seemed natural to add snowflakes instead of flowers. The pine bough foliage gives it a wintery feel. I painted my watercolor snowflake wreath on a piece of mixed media paper I trimmed to 8×10. I used my Daniel Smith watercolor paints. You could also use this Sakura set. Lightly trace a round circle with a pencil. (I used the center of my masking tape.) Using a medium blue paint add a broken ribbon pattern.Use thick and thin strokes. After the ribbon dries add yellow green foliage that looks like pine boughs. Leave plenty of white space. After this layer dries add some medium green strokes, letting some of the light green show through. Keep adding layers of green ending with a some very dark green pine boughs. Make sure you let the different layers of green color show through. Add some splatters with the green paint colors you used. Use a variety of blue paint similar to your ribbon color and add some simple snowflakes designs. Make some larger with more detail and others smaller and simpler. Vary the color intensity making some lighter and others darker. Splatter some of your blue paint to give the feel of snow falling. Use a white gel pen to add white snow flake dots and line accents to your wreath. 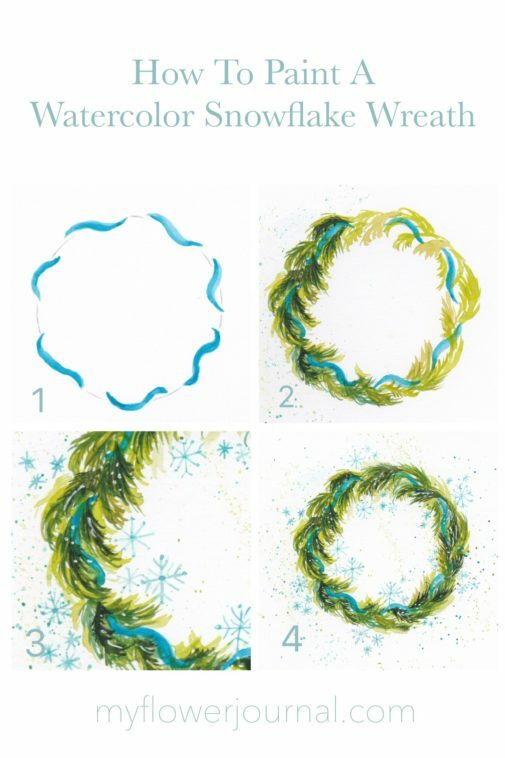 Step back and look and see if your wreath needs more splatters or snowflakes. Its always hard to know when to quit. 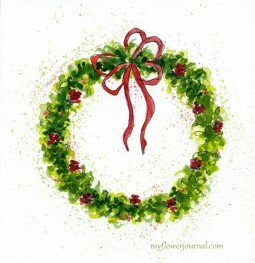 Finally share your watercolor snowflake wreath on instagram with the hashtag #myflowerjournal . I’ll be sharing this on Feathered Nest Friday and Inspiration Gallery and Best Friday Features. beautiful snowflake wreath Tammy! Thanks for sharing the step outs.